When will be The Iron Horse next episode air date? Is The Iron Horse renewed or cancelled? Where to countdown The Iron Horse air dates? Is The Iron Horse worth watching? In a high stakes poker game, Ben Calhoun won a railroad -- an unfinished railroad. With the help of Dave, the construction engineer; Nils, the crewman; and Barnabas, an orphan; Ben must find a way to complete the railroad. 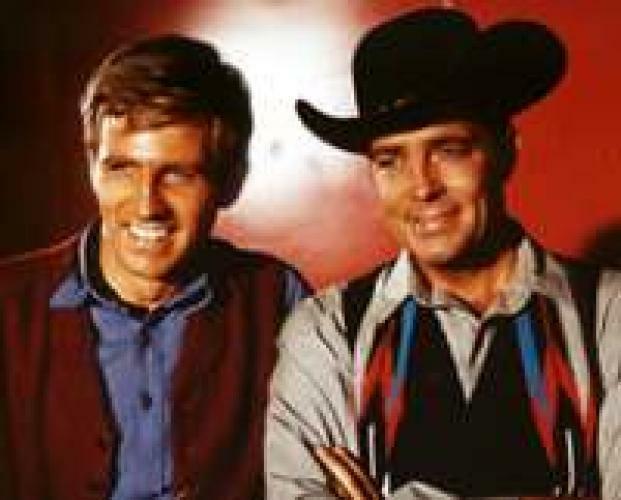 Dale Robertson and Gary Collins starred in the series which ran on ABC for one and a half seasons. Future Academy Award winner Ellen Burstyn joined the cast in the show's second season. Burstyn was billed under her maiden name of Ellen McRae. EpisoDate.com is your TV show guide to Countdown The Iron Horse Episode Air Dates and to stay in touch with The Iron Horse next episode Air Date and your others favorite TV Shows. Add the shows you like to a "Watchlist" and let the site take it from there.